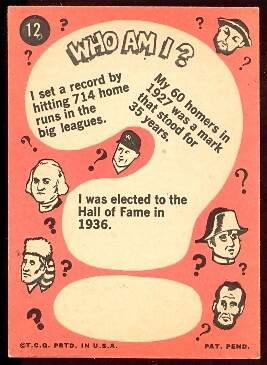 The 1967 Topps Who Am I set features important historical figures and several baseball players. The cards originally came with a scratch-off coating that concealed the identity of the person. Kids would then scratch off the coating to reveal the answer. Cards found with the original coating still on the cards are worth several times more. 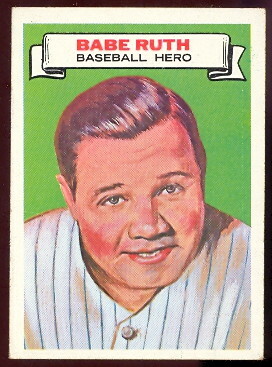 Baseball players in the set include Babe Ruth, Mickey Mantle, Sandy Koufax, and Willie Mays. The backs have a quiz to help identify the person pictured on the front. The set contains 44 cards and the cards measure 2-1/2" by 3-1/2".